This dazzling bracelet by Thomas Sabo is a contemporary reimagining of a timeless classic style. 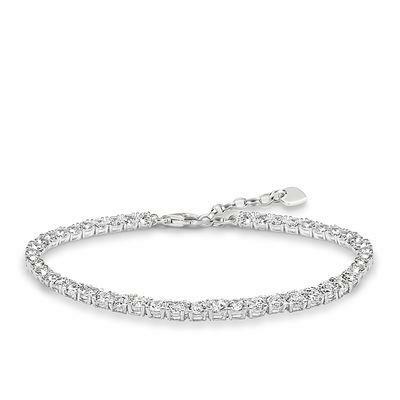 This 925 Sterling Silver bracelet is set with artfully-cut White Cubic Zirconia crystals. The extender chain ensures that this bracelet is the perfect fit.